We’ve crunched the numbers of almost 120,000 Real MPG fuel reports to uncover the worst car manufacturers for real world economy. On average, a vehicle in Britain will miss its MPG target by 24 per cent, but some carmakers fair worse than others. On average, a DS will return 73 per cent of its advertised economy, which makes the French carmaker the worst for Real MPG. 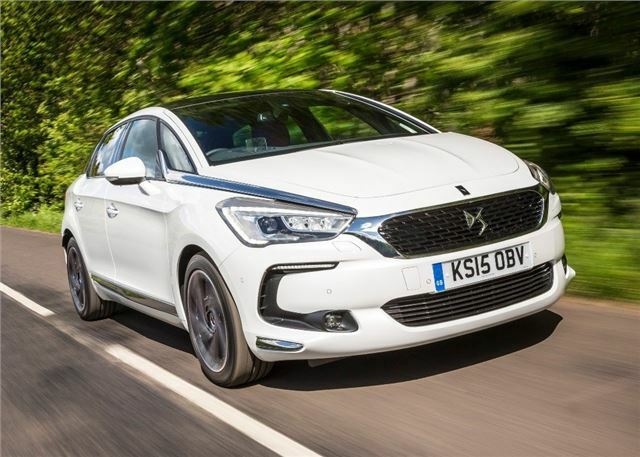 Both the DS4 and DS5 perform poorly, with some models missing their official targets by as much as 20mpg. I would have liked to see references to the actual mpg achieved. For example, my EcoBoost Fiesta actually gives a satisfactory [in my view] 45 mpg despite its poor rating. What a shame nobody will give mpg at constant speeds. Many decades ago one of the weekly mags produced a graph of mpg against speed. I remember that my twin choke webber Renault was worse at 30 mph than 40 while the then new BMW petrol injection was massively better at low speeds. If you drove at 50 on quiety country lanes the ranking order was quite different to motorway cruising. If only we could have that info it would probably also show that at a constant motorway speed a lager engine might be better than a struggling economy model. Please, somebody give us usefulk figures. Honest John's survey is a guide but Honda Jaqzz's pottering around at 30 mpg are likely to do better than repmobiles pushing down a motorway. MPG is very dependant on how you drive and where you drive. My Lexus IS 300h has never been on a motorway so 60mpg driving around North Yorkshire A/B roads is normal for me but anyone who does mainly motorway runs would be hard pressed to reach 50mpg. I support Cabbage Patch's request for steady speed fuel consumption, which would provide useful additional information for drivers concerned about economy. I have just done a motorway journey of 150 miles at 55 to 60 mph in my S-Max, obtaining a computer readout of 55 mpg which compares well with my normal local driving figure of 29 mpg. I wonder what it would have been at 70 mph. Things are even worse than you might think. If you work out your mpg manually, then almost certainly you will find that your computer shows a considerably better figure. For example, my Hyundai Mk 1 i20 usually shows around 47mpg, but worked out manually is around 42mpg. I have seen similar discrepancies on previously owned cars. This is something that requires further investigation! I am amazed that anyone is surprised by his/her car supplying "overconfident" numbers. Speedometers have always given high readings. There's a law to allow it, i believe. My, so called, onboard computer tells me i can travel from Yorkshire to Bristol, in my VW Golf Plus 2.0 TDI, at 80+mpg. I know its wrong. I've always known it's wrong. But; A it makes me feel happy and B it gives me a useful relative comparison for other journeys. We should all know when we are being lied to. I just wish there were a way to fix it! Oh, yes. We're leaving the EU. That should do it!